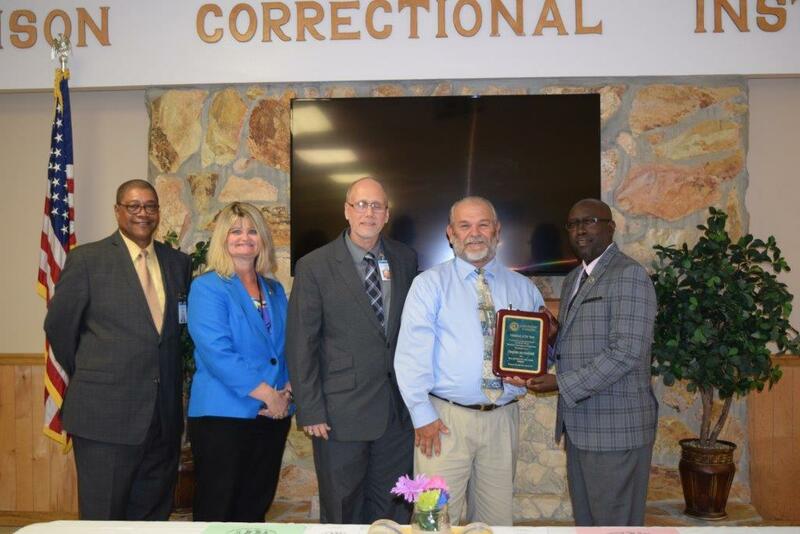 An incredible moving of the Spirit has been taking place in the Madison Correctional Institute in north Florida. Jay Hartranft, the prison chaplain for the facility, has witnessed life changes in the men he’s been ministering to for the last five years. What started as a group of 40 men going through Celebrate Recovery has grown to more than 100 men who attend bible studies and monthly worship services. In his time with the men incarcerated at Madison, Hartranft has seen 70 of them make professions of faith in Jesus Christ and 74 of them get baptized. Just this year, 28 prisoners have made professions of faith and Hartranft has baptized 19. “More and more are coming,” Hartranft said. And he believes the numbers will continue to grow. Hartranft, a member of Cherry Lake First Baptist Church, said just last month the facility began offering men the opportunity to live in a faith dorm. Hartranft said in order for the men to be eligible for consideration to move to the faith dorm, they have to have an impeccable behavioral record. No drugs, fights or violations of any kind will be tolerated among these residents. Hartranft is looking forward to being able to teach some classes there soon. Having served 21 years as a military chaplain, Hartranft has found similarities in his prison chaplaincy. Like among the military, the prisoners are coming from a multitude of faith backgrounds and religious experiences. He strives to teach them about Jesus and get them reading their bibles. Hartranft said the key thing he wants to impart to the men is Christ, crucified and risen. Hartranft is grateful for the support of his church and his pastor, Murrell Bennett, who also does prison ministry in a couple of area facilities. Donations from churches like his allow him to be able to serve communion and do bible studies with the men. “All these professions of faith are happening as a result of ministry out of Cherry Lake Baptist Church,” he said. 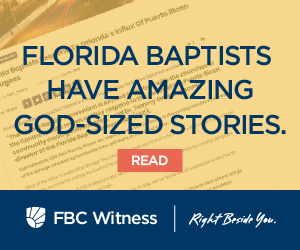 Gary Townsend, FBC Catalyst for North Florida, said Hartranft has a record of each man who has been baptized during his time at Madison and Hartranft said he gives each one a baptism certificate to commemorate the occasion. For the foreseeable future, Hartranft will continue to visit the facility every Tuesday and Wednesday, faithfully teaching the men that while they may not have freedom in this life, their freedom in Jesus is assured. His ministry within the prison is not something he’s willing to walk away from. “No way I could do that,” he said.